Parker ProBond™ cartridges have a unique, proprietary two-stage filtration design to maximize particle retention and service life in viscous fluid filtration applications. 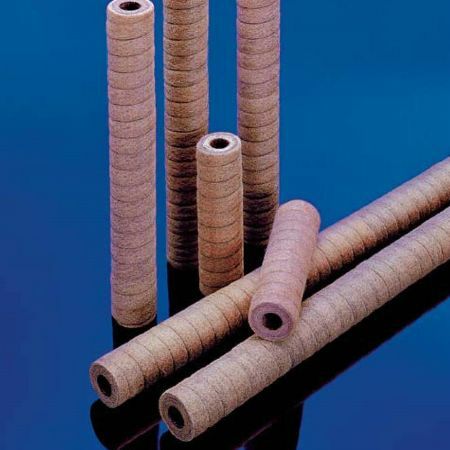 An outer, spiral, pre-filter wrap, made from a fiber blend of polyester and acrylic, increases cartridge strength and eliminates residual debris associated with conventional or machined and grooved, resin bonded cartridges. ProBond filter cartridges are available in eight differentiated removal ratings of 2µm, 5µm, 10µm, 25µm, 50µm, 75µm, 125µm and 150µm pore sizes to meet a wide range of performance requirements.